The next generation Dakele phone will launch with a 5-inch OGS display, but it is the main camera that Dakele are touting as the main selling point. According to the company, the low-cost Dakele phone comes equipped with the same Sony IMX179 camera as the iPhone 5 and boasts an F2.0 aperture. Images posted by Dakele show the next generation Dakele phone showing off it’s macro mode. The phone easily focuses in on a name card just 3cm away from the lens. 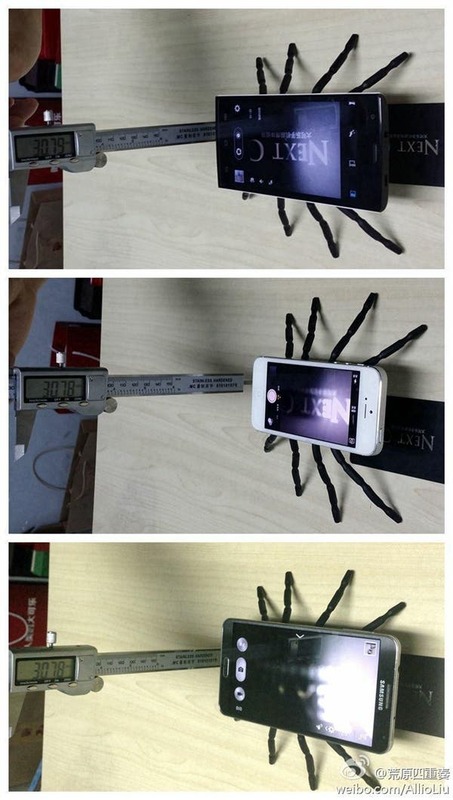 The iPhone 5S and Samsung Galaxy Note 3 both seem to have trouble at the same distance. Dakele have never been a phone brand which catches our imagination, perhaps this will change with their new device? Next Octacore Hike X2 is the first phone to ship with Mediatek’s rival to NFC!